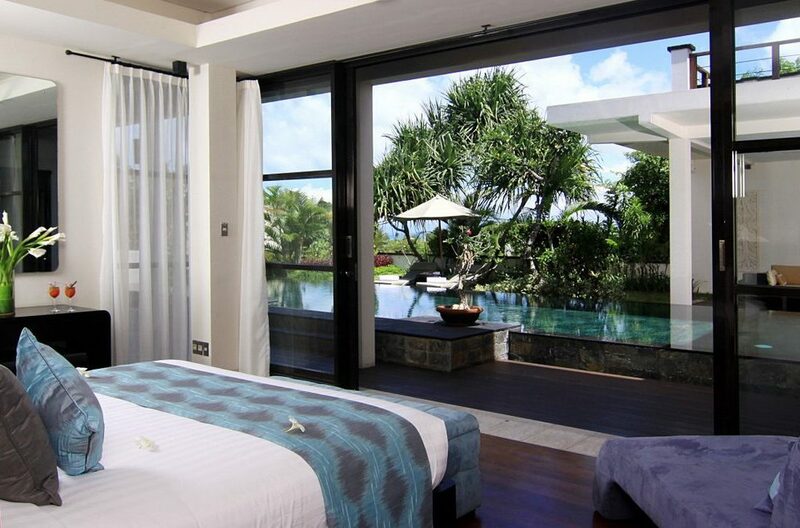 Little was spared when this lavish oceanfront villa was built. 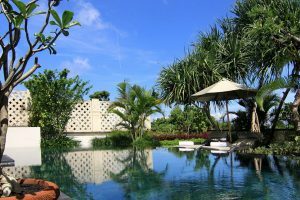 Villa Princess Allegia is an exquisite, modern private 4 bedroom villa located within the exclusive Temple Hill Villa Complex in the foothills above the beautiful Jimbaran Bay. 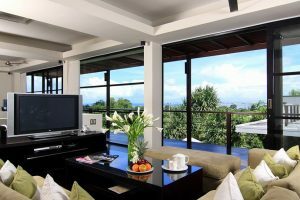 It was built only 5 minutes from the white sand beach of Jimbaran Bay and is perfect for a family holiday or a golfing getaway with friends. The villa is a sprawling masterpiece of design and craftsmanship and the amazing views from the terraces are sure to overwhelm your senses. 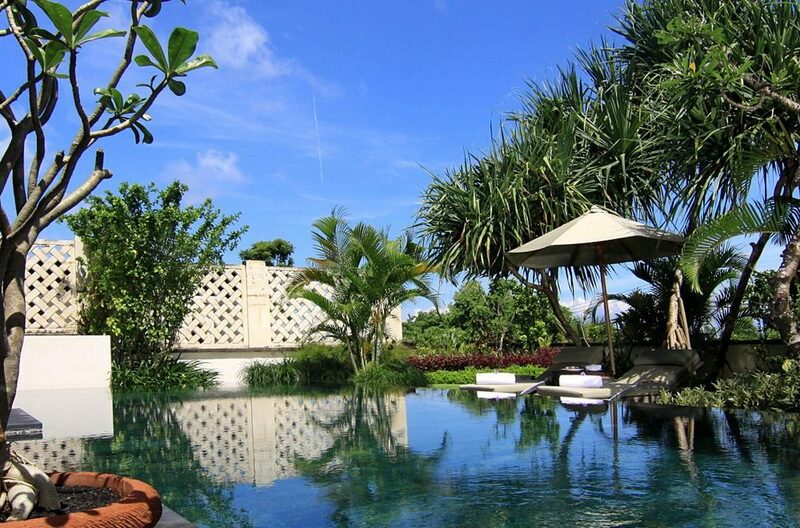 Majestic Jimbaran Bay is the perfect backdrop to enjoy while you sip on a chilled chardonnay. 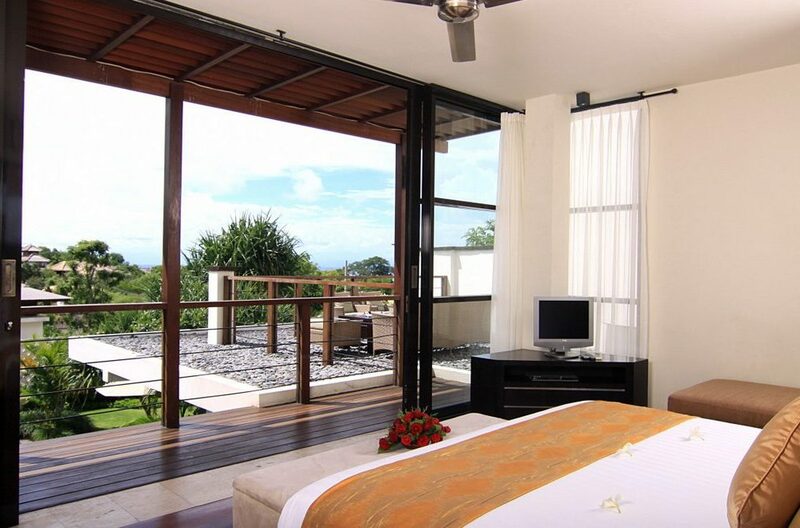 The villa houses four stunning, spacious bedrooms with dark timber floors and a minimalist décor scheme. 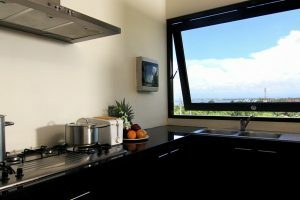 All of the bedrooms are fully air-conditioned and have been furnished with top of the range king sized beds for your absolute comfort. 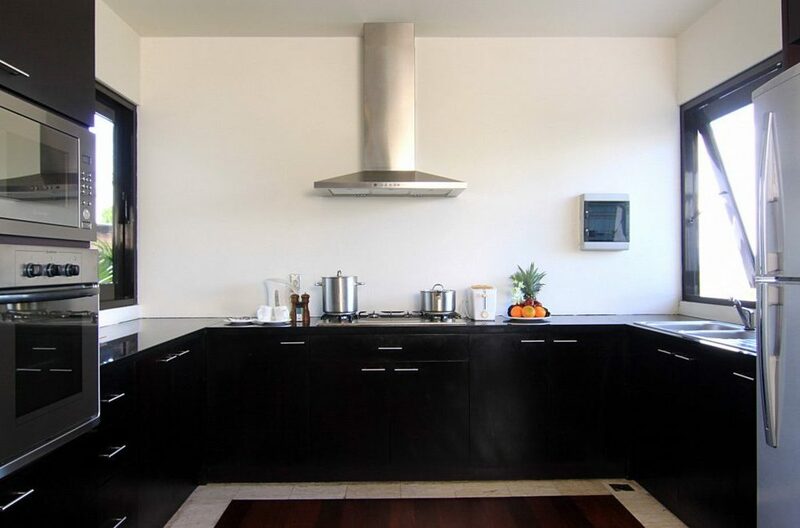 They are sure to satisfy the most voracious appetite for comfort and style. Spread out over two floors, the bedrooms feature glass sliding doors, which allow natural light to flood the room, creating a bright and airy environment. 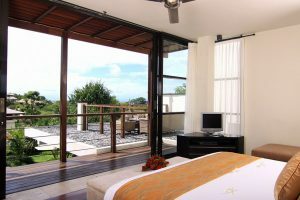 The ground floor rooms allow guests easy access to the swimming pool while the upper floor bedroom comes with a private terrace. 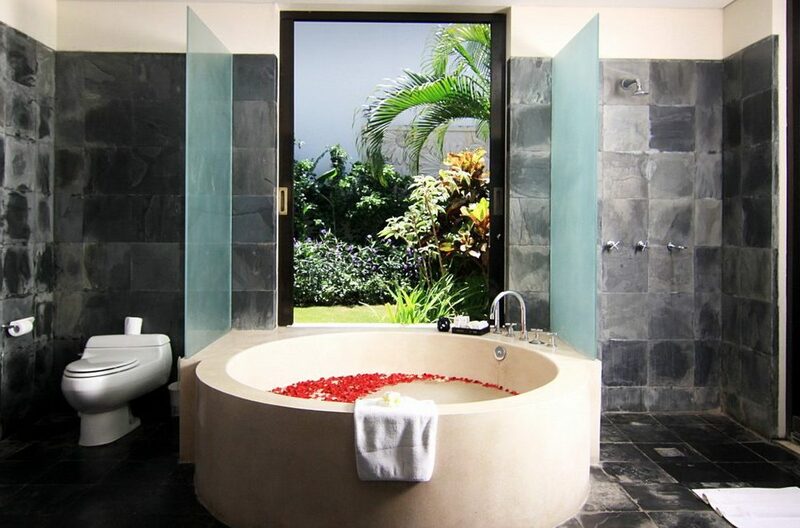 The ensuite bathrooms are as grand as you’d expect of a property like this. 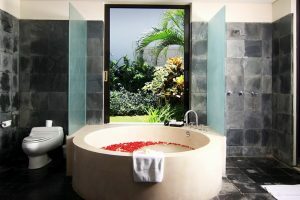 The twin basins and bathtub are encased in sleek, black granite and the ground floor bathroom features an impressive circular tub with a private tropical garden. 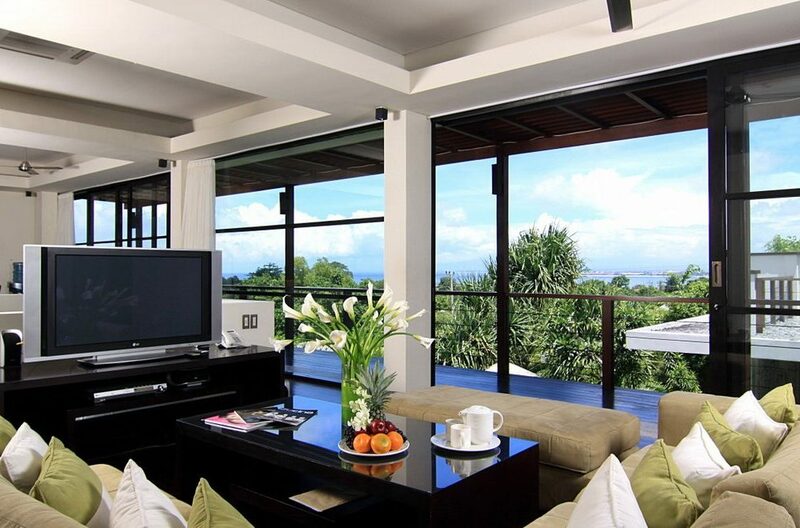 The sprawling living area is located on the upper floor and provides the perfect setting for relaxing and soaking in the stunning views of Jimbaran Bay. Lie back on the large modular sofa and spend quality time with family and friends watching movies on the TV, or simply curl up with a page-turner. The formal dining room seats up to 8 adults comfortably, and for an extra fee, you can enjoy exquisite meals cooked by your private chef. 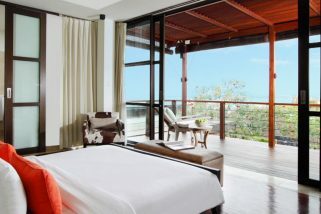 The airy layout allows the gentle sea breeze into all three rooms, but guests can also shut the glass doors to enjoy air-conditioned comfort. 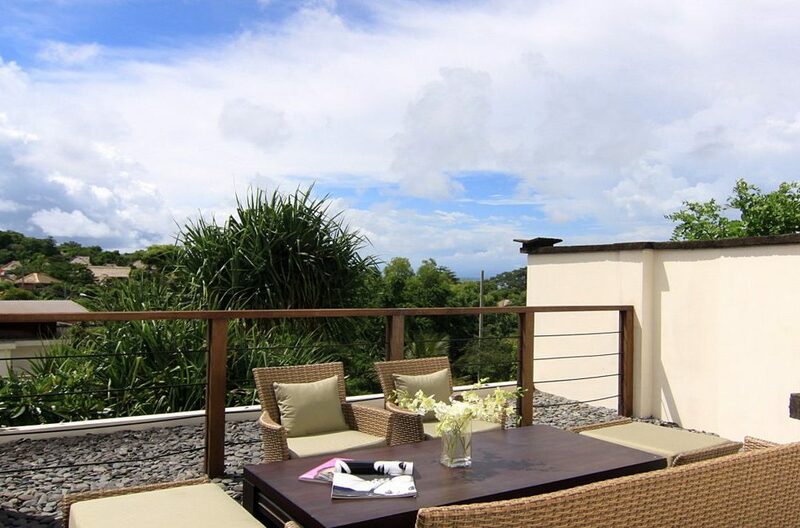 The outside area is truly evocative of a tropical paradise. Guests will enjoy panoramic views of the stunning Indian ocean on all fronts and enjoy the expansive lawn and impressive infinity pool. Take shade on one of the several sunbeds and daydream as you watch the palms sway in the soothing breeze. On the terrace upstairs you’ll find an outdoor lounge setting for an additional ultra relaxing experience. 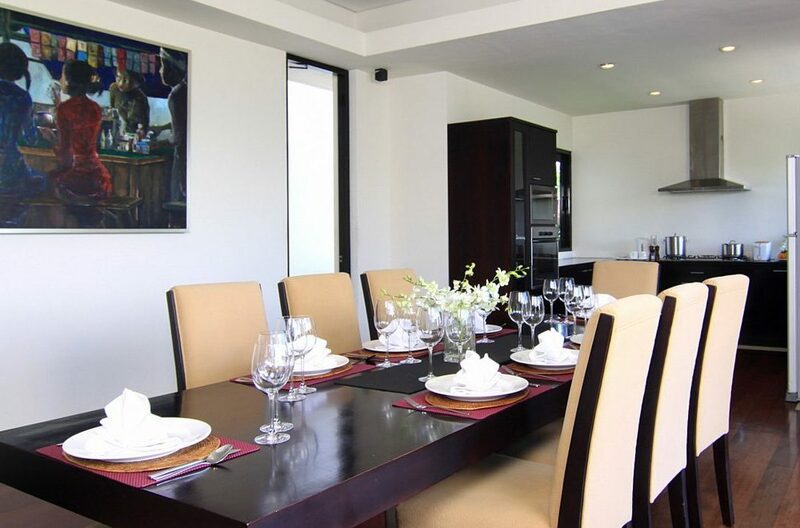 This deluxe villa is maintained by a group of hospitable and dedicated staff. You’ll be well looked after by the manager, a housekeeper, a gardener and pool maintenance staff, a private chef, a driver and a security guard. Guests may also request babysitters and spa therapists at an additional charge. 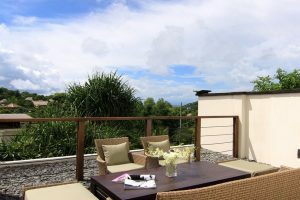 Jimbaran is known for its tranquillity and stunning views. 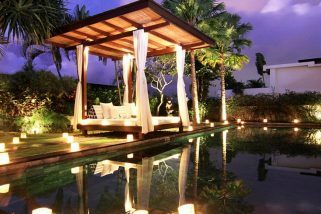 It’s the perfect place for those who want to get away from the hustle and bustle of crowded Seminyak and enjoy some real rejuvenation. If you’re a seafood lover, make your way to Jimbaran Bay and enjoy some freshly caught fish, squid and clams that are barbecued to perfection with a side of sambal. By night, it’s an extremely atmospheric setting as you dine by candlelight, with the soothing sea breezes and stars twinkling above. During the day you can visit one of the many stunning beaches on Bali’s Bukit Peninsula. Crystal clear waters and white sand line the Bukit and make it the ideal spot for those Instagram-worthy holiday snaps. El Kabron is the perfect place to lounge away an afternoon where you can rent a day bed and munch on some tapas or sip on sangria while the sun goes down. 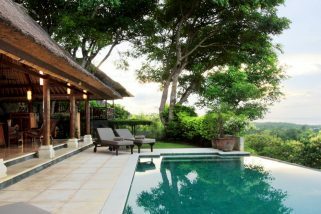 Safely situated within a secured villa complex in the hills above Jimbaran Bay, is Villa Adenium. 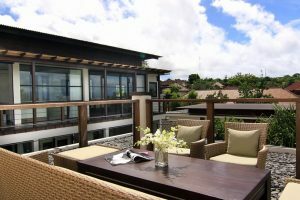 This awe-inspiring 4 bedroom hilltop retreat comprises of three tropical pavilions with high thatched ceilings and is looked after by a fleet of discreet and attentive staff, delivering the ultimate island experience.